This cozy NW Calgary community is chock full of gorgeous homes. A mixture of historic bungalows and new constructions can be found in the Rosedale community, usually in the higher-end price ranges. Whether you’re looking for a modern luxury design or a superb character home enhanced with contemporary upgrades, your ideal home can be found in Rosedale. Due to the community’s smaller size, only a limited number of properties are available. This scarcity, combined with the attractive living spaces, makes Rosedale one of Calgary’s more exclusive and sought-after communities. Find out more about Rosedale homes & houses below the property listings! Rosedale property is part of a well-connected and energetic community that is perfect for families and successful professionals. Rosedale homeowners and their families tend to be an upbeat group and genuinely care about the neighbourhood. Many of the homes are luxury builds, and the community is perfect for upper-middle-class living. Rosedale is home to a park that is complete with tennis courts, a multi-use sports field, and a community hall. Many community activities are based out of these facilities, including outdoor soccer, cross-country skiing, and more. These services are maintained by the Rosedale Community Association. The Rosedale Community Association sends out an almost-monthly newsletter called the Rosedale Reporter to keep residents connected and informed. Rosedale community hall is an excellent venue for events and celebrations. 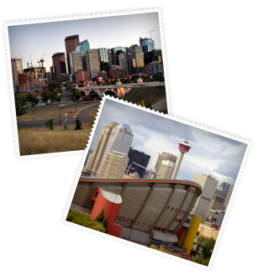 Kevin Niefer & team would be happy to show you around Rosedale homes and help you connect with your dream house in NW Calgary or beyond. Register with our site, call 403-968-1496 or message us online to get started!